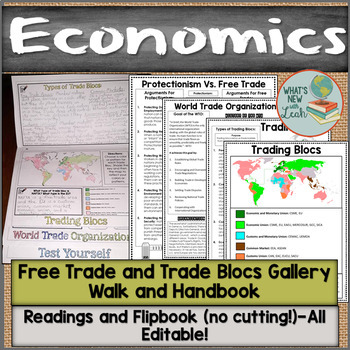 Give your economics students an overview of protectionism, free trade, trade blocs, and the World Trade Organization with this editable gallery walk and handbook. The handbook only takes three sheets of paper with no cutting required! 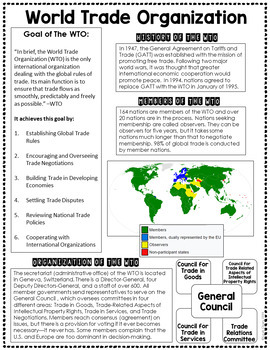 -Hang the information pages around your classroom. -Instruct students to put together their handbooks following the instructions on the next page. -Have students walk around the classroom, filling out their handbooks. 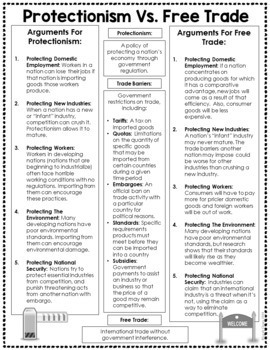 -There is one information page for each page in the handbook and two for economic systems. -They should take notes on each page, following the prompts. 1.Place students into six groups. 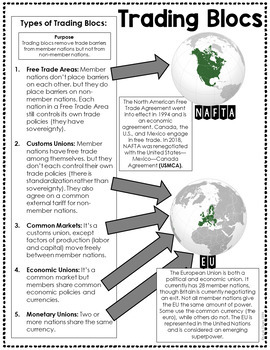 Print out the pages, and give each group one. Give each group 10 minutes with each page before passing it along to the next group. 2.Post the individual PDF on Google Classroom (or another secure classroom platform), and assign the reading to students to use to complete their handbooks.